Hofmeister said details are emerging that show the state’s K-12 budget, which remained at $2.5 billion for fiscal year 2016, will ultimately result in cuts at many school districts. Overhead costs such as insurance are increasing, enrollment is rising and some districts are losing local revenue because of a drop in oil and gas production. In Burns Flat-Dill City Public Schools, for example, pink slips were given to four of its elementary school teachers last month, a move that will increase class sizes. Lawton Public Schools is closing four elementary schools. Despite the setbacks, Hofmeister said she will push her agenda again next year. That includes addressing an ongoing teacher shortage and low teacher pay, overhauling the state’s high-stakes testing requirements and revamping the state’s A-F school grades. Hofmeister said districts will continue to struggle to recruit new teachers and retain existing ones heading into the next school year. When classes began for the 2014-2015 year, the state had about 1,000 teaching vacancies, she said. It’s still too early to know how severe the problem will be in the coming year, but some districts already are reporting high vacancy numbers. According to Tulsa Public Schools’ website, the district has 230 current teacher vacancies. Oklahoma City Public Schools has 158 empty teaching positions, with the the number changing daily, school officials said. “That teacher shortage is not going to go away on its own,” Hofmeister said. Part of the problem is that low pay and the current education climate makes teachers feel under-appreciated, Hofmeister said. Educators have rallied on the front steps of the State Capitol for two consecutive years, seeking more education funding and pay raises. But each time, lawmakers have said budget shortfalls left insufficient money to fund their requests. Hofmeister said she will continue promoting her plan to increase teacher pay to the regional average within five years as well as add five days of classes. That would require an additional $362 million a year. Oklahoma has the lowest average teacher pay in the seven-state region, according to data from the National Center for Education Statistics. Adding five school days would bring the length of Oklahoma’s school year to the national average, Hofmeister said. 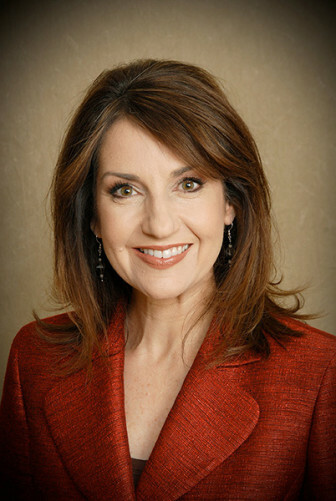 Hofmeister said she favors a moratorium on state-mandated end-of-instruction testing. High school students must pass four of the seven tests to graduate. Bills were proposed last legislative session to reduce testing or find an alternative test, but none gained traction. Some conservative political leaders are worried that backing off testing will reduce accountability for schools and teachers and prevent any real gains in academic performance. Hofmeister proposes replacing end-of-course tests with the ACT Aspire exam, which would free up instructional time and save money, she said. Some opponents of the Common Core standards, which Oklahoma dropped, view the ACT as a proxy for Common Core. Nationally, other critics question whether a single ACT test can adequately replace tests in various subjects. Hofmeister said she also wants to ax the state’s writing exam, pointing out that it is not required by federal law and is the most expensive test. This year is the second year in a row the state is not using the writing portion of the text in calculating A-F grades for schools because of concerns about the accuracy of the results. The state took a first step toward revising the controversial A-F grading system for schools when Gov. Mary Fallin signed a bill Wednesday that requires the state to evaluate the system and make recommendations for changes next year. Hofmeister said the current A-F grades are meaningless to parents and punitive to school districts. “That’s something that’s got to be more of a flashlight and less of a hammer,” she said. A key question is how the Legislature next year will view the estimated costs of Hofmeister’s reforms. Other agencies are competing for funds, and a state income tax will take effect that could reduce state revenue by $50 million in the last half of 2016, and $100 million annually after that. Hofmeister called the continuing challenges a “self-inflicted wound” because of tax cuts and business tax incentives that remain even as revenue for appropriations has dropped. The state faced a $611 million budget shortfall this year.